Co-infection of human immunodeficiency virus (HIV) increases the risk of developing tuberculosis (TB) by over 20 times. TB and HIV can interact synergistically, complicating treatment and leading to excess public health burden. 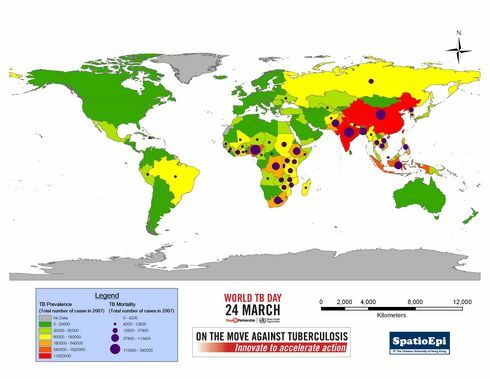 This map shows the distribution of TB/HIV cases worldwide, and the percentage of TB patients with documented HIV status in 41 high TB/HIV burden countries in 2011. As depicted by graduated colours, the highest HIV prevalence among TB incident patients was observed in Southern Africa. 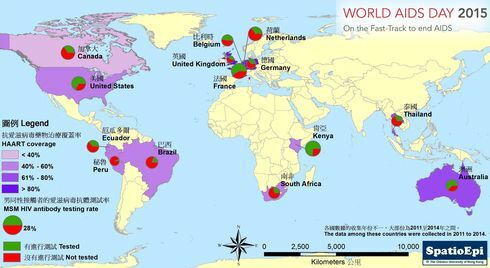 The coloured circles with red ribbon represent the proportion of notified TB patients who had been tested for HIV. 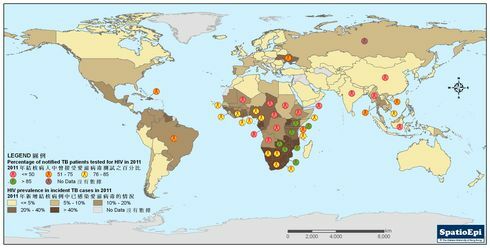 The green circles for South-eastern Africa indicate that more than 85% had been tested. 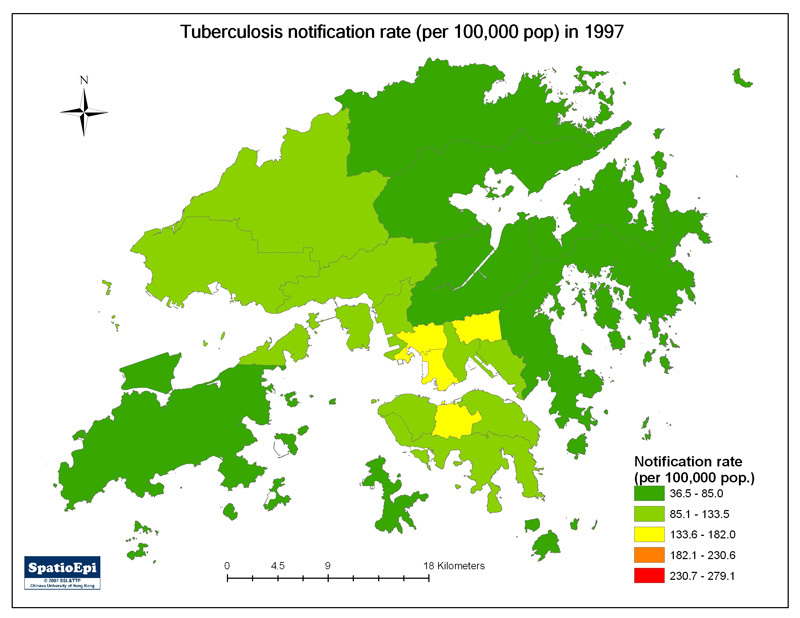 However, as shown by red circles, less than half of notified TB patients had known HIV status in Central Africa and some high TB/HIV burden countries in Asia. 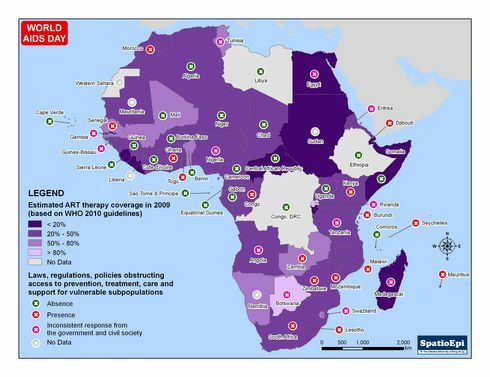 To inform effective management, enhancing coverage of HIV testing among TB patients is important, especially in countries with high prevalence of HIV.